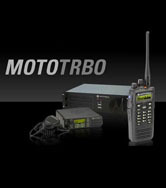 Motorola Solutions brings you the perfect solution for staying connected using technologies designed to keep your team in touch with the Instantly Communicate, Instantly Save promotional offer available to customers January 1 through May 1, 2015. Apex is committed to helping our customers maintain uninterrupted communications 24 hours a day 365 days a year. We offer complete Wireless Soultions for Voice, Data, and Broadband Wireless. True Interoperability enables instant communication among multiple responders and different agencies. It allows all responders, no matter what their agency, to communicate as a team and perform their job at the highest level possible.